Attorney General Martha Coakley’s office went hard after a company it claims committed numerous instances of Massachusetts workers’ compensation fraud. Our Boston workers’ compensation attorneys are encouraged that such action was taken against those who break the law at the expense of their employees – just to save a few bucks. Employers have a legal responsibility to accurately report to insurance companies regarding their total number of employees, payroll and classification of business. Failing to do this for the express purpose of avoiding payment of insurance premiums covering workers’ compensation for injured employees is illegal under MGL c. 152, 25C. The law holds that violations can result in civil fines of up to $250 daily and criminal fines of up to $1,500 daily. If convicted of a criminal violation, offenders may even face up to a year in jail. The law was recently updated to state that any employer who is found to have violated this statute for the express purpose of avoiding payment of higher insurance premiums is barred for up to three years from participating in the bidding process for any contracts funded by the state or municipal governments. The truth is, these fraudulent practices put law-abiding businesses at a disadvantage and drive up workers’ compensation insurance premiums for everyone else. In this case, the guilty party was the owner of a roofing and siding company operating out of Nantucket. He was accused – and recently convicted in Suffolk Superior Court – of five counts of workers’ compensation fraud. From 2000 through 2010, the company used two different insurance companies for workers’ compensation coverage. The attorney general’s office has said that in order to avoid paying higher rates, the defendant lied to both firms about how many workers he had and also what kind of work those employees did, downplaying the fact that they were regularly involved in physical labor. It’s not clear immediately from court documents whether a worker at the company ever actually got hurt, but it’s really besides the point. If they had, the insurance company would have been liable to pay, even though the employer was not paying the insurance company appropriately relative to the risk. In this case, the defendant was sentenced to two years of probation and ordered to pay more than $40,000 in restitution. But this is far from an isolated situation. 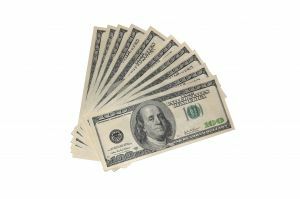 Last year, the attorney general’s office reportedly handled nearly three dozen such cases, handing out more than $1.6 million in restitution orders. All employers in Massachusetts are required by law to carry workers’ compensation coverage – even if they only employ a handful of workers and even if the only person they employee is themselves. The law is applicable regardless of how many weekly work hours you submit. The only exception is domestic service employers, who have to submit at least 16 hours weekly in order to require workers’ compensation insurance coverage. While we can sympathize with employers who are already pinched tight, workers’ compensation insurance is not the place to cut corners. The attorney general’s office reports that companies who feel they are being charged too much do have the option to appeal to the Massachusetts Division of Insurance.